Crossword Safari : Welcome to the world’s most charming crossword game! Join a colorful cast of characters on their journey across exciting vistas such as tropical islands, lush forests, and explosive volcanoes! Work your way through brand new game modes and challenging levels. It’s a game that’s easy to learn, but difficult to master. Join the adventure today! Daily challenges rotate every day! Unlock the secret Coin Cavern! New levels and game modes on the way! PLEASE NOTE: Crossword Safari is free to play, but some extra game items can be purchased for real money. You can disable in-app purchases in your device’s settings. Crossword Safari now has even more fun modes for players to test their skills in. We added Blitz mode to the arcade! Get to the highest level you can before the timer runs out! 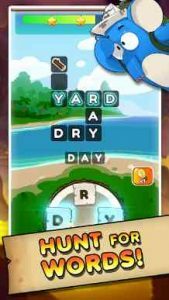 We updated the core crosswords mode to allow players to combo correctly spelled words together. All new character art and animations!